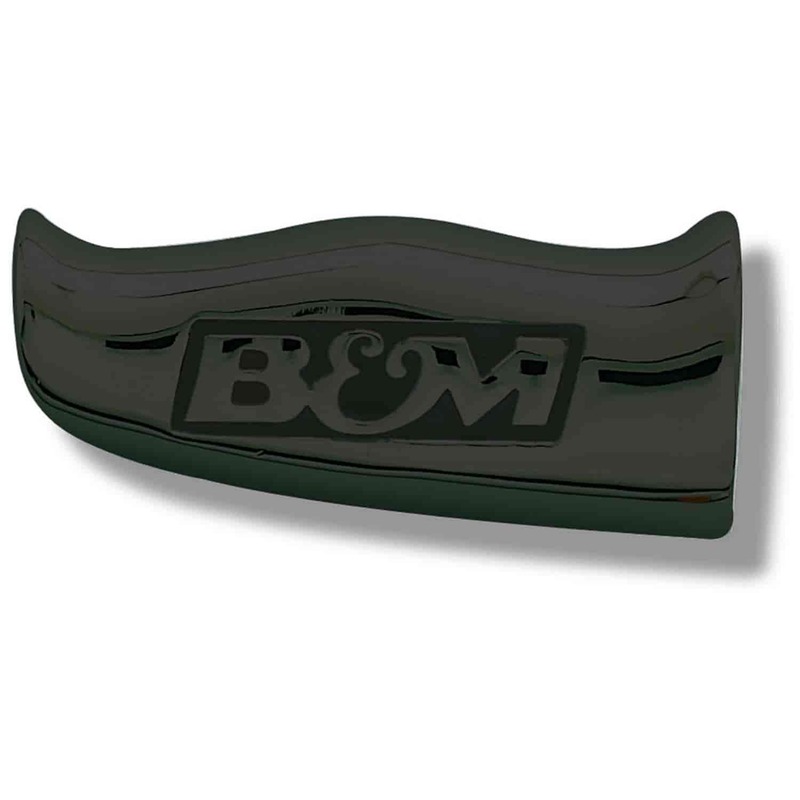 B&M's Shifter Handles and Knobs offer a smooth and comfortable, yet stylish, addition to your B&M or aftermarket shifter. Choose from either brushed, chrome, or black finish; all with an embossed B&M logo. Handles are available with a 12 volt, 10 amp button for activating any line lock, transbrake or nitrous system; without having to remove your hand from the shifter. Shifter Handle Grip Plates are offered in a variety of colors that will enhance your ride's interior, and reflect your personal style. B&M also offers dash-mounted Shift Knobs for vehicles equipped with gear selectors that are mounted in the dash. Each knob is machined from billet aluminum with a durable black anodized finish and B&M branding on the face. 80642 is rated 5.0 out of 5 by 2. Rated 5 out of 5 by Kstroup30 from Everything i expected and more! Exactly what i wanted and at a great price! Makes driving my truck that much better having a comfortable knob that fits perfectly in my hand.